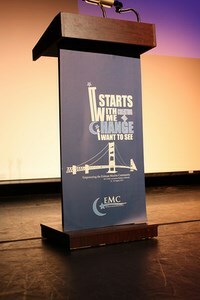 The annual convention is the premier event that EMC holds, typically in the summertime. 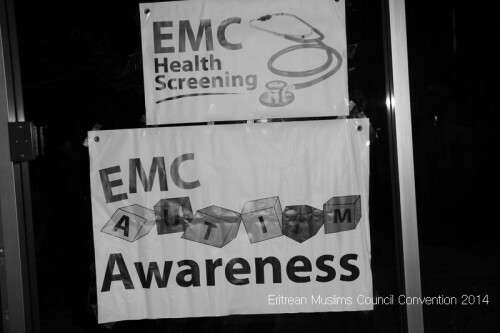 Started in 2003, as a two-day strategic event it has now become the largest event that EMC organizes. It is an annual gathering of members from all over the United States, Canada, and sometimes from abroad. Convention activities include a two-day youth camp, Islamic speakers, workshop sessions, entertainment night, professional networking, and a matrimonial banquet. First and most importantly the annual convention is focused on providing dawah for it’s members. Each year, the convention secures Islamic speakers to provide beneficial and enlightening talks, in English, Tigrinya, and at times Arabic, for all the attendees. 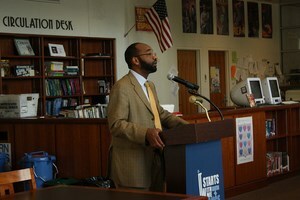 Past speakers include Sh. Ismael Mukhtar, Dr. Beyan Salih, and Sh. Yassir Fazaga. With a variety of activities like ropes course, swimming sessions, and hiking, EMC youth gather for two or three days prior to the convention to enjoy the great outdoors as well as team building activities. The EMC Youth Camp focuses on teaching leadership skills, through organized activities, and encourages bonding of youth from the different local communities across North America and Canada. Every year, EMC holds an exciting entertainment affair during the convention and we’re always impressed by the talents of our youth in acting, poetry, nasheed, comedy and more. In 2013, for the first time, EMC had a talent competition which generated the most creative and entertaining acts for the convention. EMC Professionals Networking event is focused on bringing members together to talk about their professional career goals. It is a casual environment where young professionals in our community can share stories, career advice, strategies, and of course, connections! One of the most talked about events at the annual convention and the anchor event of the EMC matrimonial committee. This program is designed for Eritrean Muslims, who wish to fulfill their nusf deen by meeting and socializing in a convivial setting. This relaxed group meeting has won strong approval from participants and the community. For more information about the matrimonial committee click here. The health of our community is important. Every year a health fair is organized by the health committee who believe that living healthy lives is a part of dawah. At the health fair attendees can receive a free blood pressure readings, information about chronic diseases, healthy living, and exercise, plus receive informed health advice from clinical volunteers.